It’s autumn, well and truly, and on days when the southerly’s up and snow’s down on peaks to the west, winter seems closer than it is. Despite the chill, after reading Annette Lees’ wonderful work Swim I’m sure there are many hardy folk still throwing their bodies into wild bodies of water. 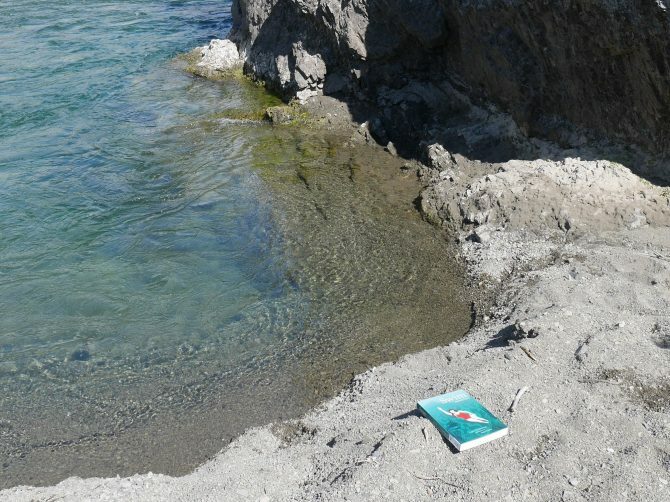 Swim is a really lovely book about the connection between us and the waterways throughout these islands. Author Annette Lees is a conservationist, and her passion for the special watery places explored is evident. The book as an object is beguiling – the cover comprises a beautiful illustration by Floor van Lierop (who also did the book design), and throughout the book blocks of text are mixed with beautiful colour photographs. Lake Taylor, in February – a high country lake, cool and deep – no one else was swimming, and the water was soft and dark. 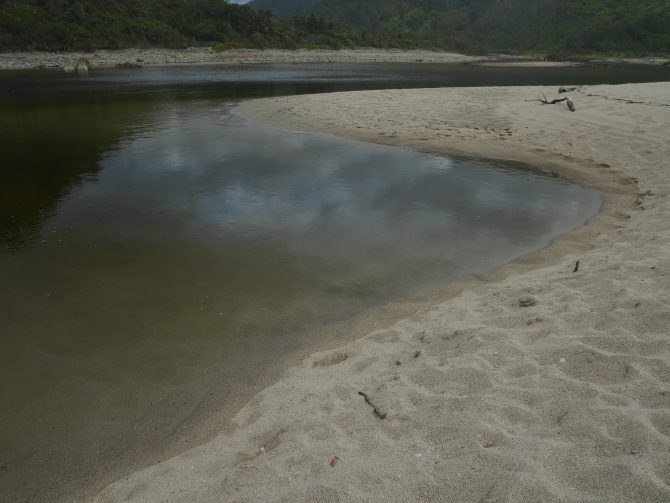 Hurunui River, in February – just off the gravel road to Lake Taylor, found a little spot where the current had been circumvented into an eddy which formed a little cold and energising plunge pool. Rāpaki Bay, Te Rāpaki o Te Rakiwhakaputa, all year – under the peak Te Poho o Tamatea, in the crater of the Banks Peninsula bays, best in a heady nor-wester after a long day. Love floating on my back here. 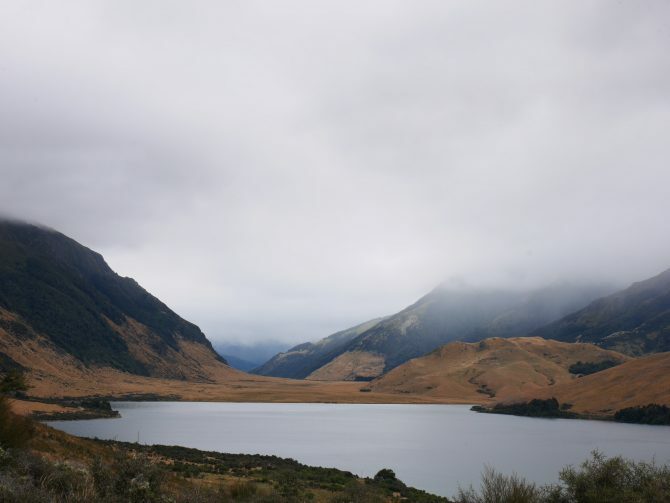 Rotoiti, in March – my lake love, jumped in after a long run in the bush to the head of the lake and back. It was raining so hard we were already soaked, and the lake felt cold and soft on my sore legs, with cloud down on the range. Let us know your own favourite swims! And borrow Swim from the library - it's an illuminating and engaging look at the pleasures of immersion in our rivers, lakes, streams and seas - and a timely reminder of the responsibility we have to protect them. The Swim Guide - shows water quality information from popular swimming spots. Information about Rāpaki Marae and the surrounding area from Tī Kōuka Whena.